If you would like to give your car some extra power and make it feel like there are a few more horses under the hood, there is no better way than to upgrade your exhaust system. Changing your pipes is a perfect way to improve a car’s performance, but it can backfire if you’re not sure what you’re looking for. There are after all, quite a few things to look for and decide between when trying to change out your stock exhaust for an after-market one. 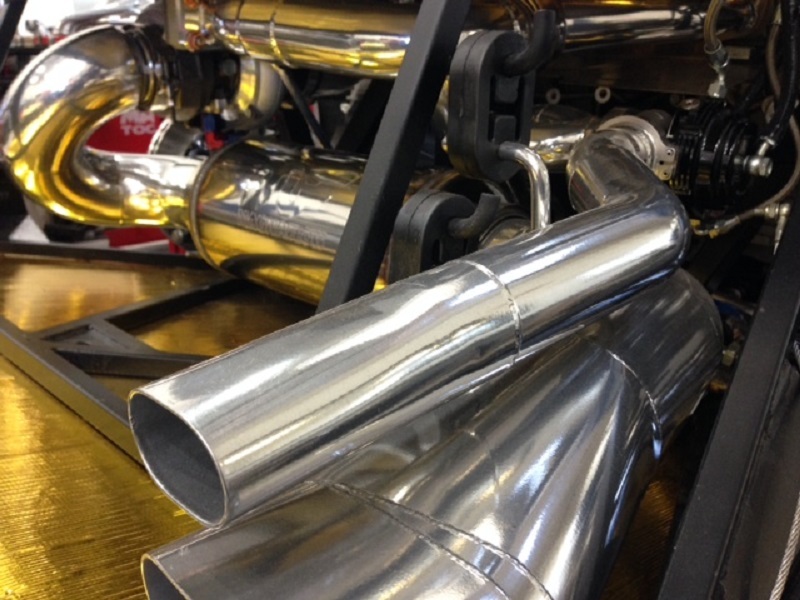 One of the biggest differences between stock and after-market exhausts is the pipe bends. The first thing that you might want to consider when trying to upgrade the power of your car is whether you should get a crush bent or mandrel bent exhaust. A crush bend is a quick and easy technique that is typically used to form stock exhausts, but it is known to rob it of some performance at the pipe bends. A mandrel bent exhaust on the other hand is formed by utilizing a flexible rod which is inserted into the exhaust to prevent the pipe walls from collapsing or kinking. The result is a consistent pipe diameter with no restrictive kinks in the bend. The next thing to look out for is the configuration, or more precisely, whether you will get a single or dual exhaust system. The single after-market system can enhance the performance of the car because of the larger pipe diameter and less restrictive mandrel bends. However, the dual system can obviously enhance it even further, though this doesn’t necessarily make it better. Because it has double the number of components, sometimes there may arise a pressure imbalance between the two, and may cause one bank of engine cylinders to back up and produce less horsepower than the other. So, the potential risks and advantages should be properly thought through before buying either configuration. And finally, you can also choose between a cat-back or an axle-back exhaust. The difference between the two is that the cat-back system replaces components from the converter back, and the axle-back replaces the components from the rear axle to the exhaust tip. Seeing as how both can potentially provide a significant improvement in power, the decision as to which to choose will most likely come down to price. Any one of these exhaust systems and configurations can potentially help your car produce more power, but it’s up to you to choose exactly how much power you are looking for, and how much you are willing to invest into getting it.